President and founder of EnSys Energy, Martin Tallett is internationally recognized as a leading consultant on refining and global oil markets. An established advisor to industry and government, he has also played a lead role in developing EnSys’ decision support software and services. A chemical engineer, operational, supply planning, management and systems experience with Exxon and Amoco preceded his forty years in international consulting. Among Mr. Tallett’s main activities has been his leadership in integrated global supply sector modeling in the form of the EnSys WORLD Model®. This system, continuously evolved and adapted to real world developments and issues over its 30 year track record, has established a proven and unique means to tackle key, strategic questions affecting the industry that are national, international and global in nature. The resulting array of high profile and specialty analyses conducted by EnSys demonstrates the power and flexibility of WORLD. Mr. Tallett has been named annually as a “main contributor” to each OPEC Secretariat World Oil Outlook published since 2007. The Downstream section of each outlook, extensively authored by Mr. Tallett, is largely based on WORLD Model® reference projections. WORLD studies for clients as varied as the US Departments of Energy and State, EPA, EIA, American Petroleum Institute, OPEC Secretariat, International Maritime Organization, major oil companies and technology providers have ranged from reference outlooks to oil disruptions to marine fuel, ULS fuel and climate change regulatory impacts to technology and catalyst market outlooks. Recent studies led by Mr. Tallett have focused on IMO 2020 Sulphur Rule impacts and North American supply and logistics issues, notably the potential refining and market impacts of Keystone XL and other pipeline and rail projects and of allowing US crude oil exports. Mr. Tallett has also become frequently called upon to apply his industry expertise in expert witness work. Assignments for ExxonMobil on US West and Gulf Coast refining economics issues were followed by evaluation of the refining economics and other impacts of ethanol versus MTBE for the States of New York, New Hampshire and New Jersey and other parties. From 2011 through mid-2014, he led a major assessment of crude oil supply and logistics in and around Cushing in support of market manipulation litigation by the Commodity Futures Trading Commission. More recent work has centered on US-Canadian logistics and MTBE arbitration. He has built a reputation for highly effective written and oral testimony. Mr. Tallett is a sought-after speaker at major conferences. He received his B.Sc. in Chemical Engineering from University of Nottingham and is an active member of AI ChemE, IAEE and the Energy Institute. International experience encompasses: USA, Canada, Latin America, Caribbean, Europe, North Africa, Middle East and India. 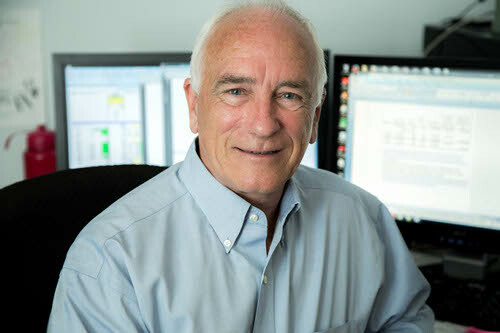 Through his lead role in EnSys’ upstream affiliate, he has also become familiar with oil and gas production.